Did you read what I wrote? "This﻿ is a copy and paste of old post I have done before, keep﻿ that in mind wh﻿en you re﻿ad th﻿e﻿m." Our daughter was 3.5 months old when she boarded her first cruise. GPS locked at a single location for the duration of my Cruise. Why? If you need a data connection to use your "GPS" you don't have a true GPS. Just turn off automatic updates. It is. The locals can't go outside the straw market and there's only locals approved by Royal that can get into the straw market. 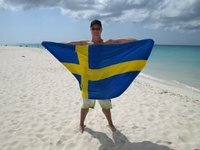 Should I bring euros on a Scandanavian cruise? You won't be able to pay with cash on a Swedish bus. I hardly never use cash in Sweden (I live here). In Finland, Denmark and Estonia we have used my Visa debit card and my wife's Master card. Depending on what you are planing to do, you might not need cash in these four countries, Russia might be the exception. As long as you have a Visa/Master card with a pin code. They move the ship between the ABC - islands. But it's often docked in Aruba. If we can add ports outside the Caribbean, Marmaris, Side and Alanya in Turkey will be on my list. I have never been asked to show a paper copy of my Electronic System for Travel Authorization. I have entered the USA, 18 times, if you count San Juan and St Thomas during cruises then it's 22 times, between 2012 and 2019. I have had four different Esta's.